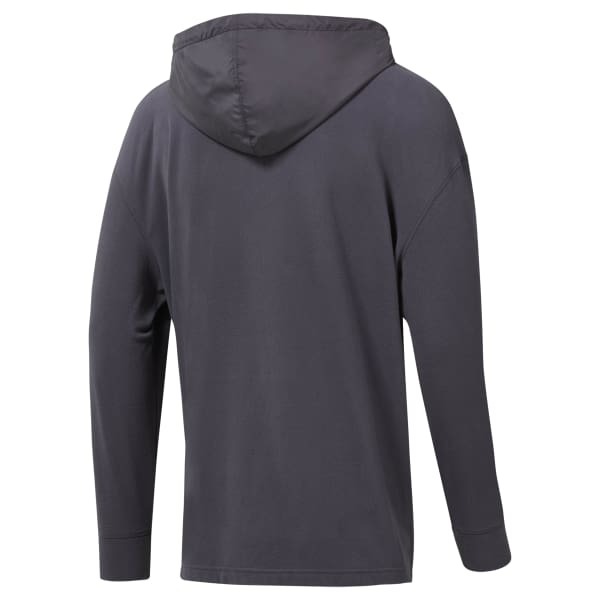 Bring warmth to commutes or rest days with this men's pullover hoodie. Microfleece fabric is soft to the touch. Woven details on the pocket and hood add texture to the look. The regular fit is slightly oversized with a dropped-shoulder design for a layer that goes on easy.